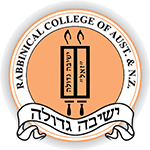 Lamplighter Weekly - Rabbinical College of Australia and N.Z. Every Friday afternoon, Lamplighter is personally delivered to homes, offices and hospitals in Melbourne. To date, over 2 million copies have been printed! Besides distribution of the print edition, thousands more are electronically sent each week to subscribers throughout Australia and New Zealand, with a growing list of subscribers in Asia. We are greatly encouraged by the enthusiasm with which each issue is received. Recently, in honour of the thousandth issue, hundreds of subscribers sent us their feedback, a sampling of which you can read here. To subscribe to Lamplighter, please call (03) 9530-3022 or (04) 3039 5770, or email us.